We’ve all seen Don’t Tell The Bride, where a hapless groom is given control over the most important day of his and his future bride’s life. I am ashamed to say that I’ve seen more than my fair share of episodes due to my wife’s obsession with the show. She even discovered her dream wedding venue on one of the episodes – and that’s where we ended up getting married (although in her defence, that was because it’s a beautiful place, not simply because she saw it on the show). A common theme on Don’t Tell the Bride is that there is always a point where it looks like EVERYTHING is going wrong. The dress is horrible, the wedding venue is a dive, the invitations haven’t been sent out and the groom’s gone on a ridiculously expensive stag do in Prague. However, everything turns out good in the end and the bride ends up loving everything. 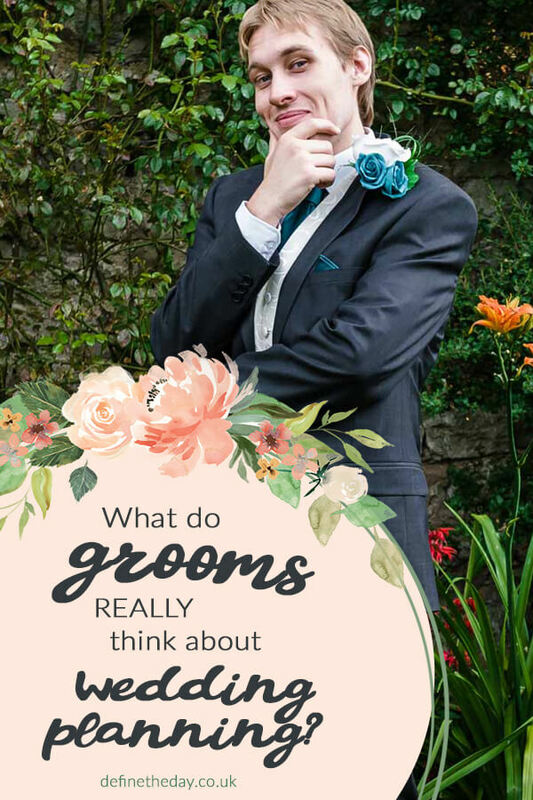 Well… that’s probably more due to clever editing and the BBC’s production team sorting everything out at the last minute rather than the groom’s charm and charisma winning the day. My own experience at wedding planning was somewhat different. True, I wasn’t the one in charge (thankfully!) but I was still thrown unprepared into the wide, wide world of wedding planning. I got married in August 2015 and it was a spectacular day. The venue was wonderful and dressed beautifully, the weather was perfect and everything went off without a hitch. We got engaged in August 2014 and were married in August 2015, so we had a full year to plan everything. Even though we had the venue, catering, invitations and wedding dress sorted by Christmas, the amount of “things” that needed to be done was horrendous. Who knew there was SO much that goes in to a wedding? I started to find about things like wedding favours, place settings, decorations, guest books, sweet tables, Giant Jenga and all sorts. Phew, I feel exhausted just typing all of that. Truth Number 3: Your bride will already know everything she wants. Everything. Your bride has probably been planning her wedding ever since she was a little girl, and knows exactly what she wants. More than that, she won’t stop until everything is perfect. My wife is a bit of a perfectionist, so we spent more time than I care to remember fretting about things like colour schemes and matching stationary. It all worked out well in the end though, as seeing everything colour coordinated on the day made the whole thing come together wonderfully. To give Sarah the credit she deserves, she did a great job. And more importantly, I was a WONDERFUL assistant. I don’t think anyone thinks about the ensuing chaos that will take over your life for a year when you make that marriage proposal. I certainly wasn’t prepared. You do witness your partner become a business manager because a wedding is a business. It’s a Billion Pound industry that won’t ever slow down. I was soon fed up of the “ooo look at this”, “this is on Gumtree, can we go and have a look?” and “do you think so-and-so can sit at the same table as this person?” For the sake of your sanity, act interested, even if you’ve heard the same question 1,000 times. You’ll regret it if you don’t. It is a universally recognised truth that all weddings don’t just happen overnight and ours was no exception. The wedding dress was done at a local bridal shop and the suits were purchased in-store too, but aside from that and a few decorations, the internet become our powerhouse of wedding paraphernalia. I found that the majority of what we organised was done online –and that’s probably true of most weddings now. Invitations, place-cards, flowers, favours, thank-you cards, venue selection, entertainment, DJ – virtually the whole nine yards were sourced online. We did have some meetings. We met with the venue managers, the photographers and the venue dresser. I found it a rewarding experience to sit down and have those meetings, even if I was the silent partner in most of it. You need to prepare yourself for the amount of money you are going to spend. Make sure you make time near the start of your planning process to sit down and budget it all out. When we sat down to cost it all out we thought that we would never get near the average £20,000 that is usually spent on a wedding. Originally we had planned to spend £11,000 but we ended up spending closer to £16,000. It is best to set a little bit extra aside just in case you do end up going over budget. We found it really useful to keep a spreadsheet of everything we spent, with a big total at the bottom. This allowed us to really keep an eye on everything to make sure we didn’t suddenly end up unable to pay our rent because we’d spent everything on some flowers that WE ABSOLUTELY “HAD” to have. I never expected to lose quite so much of the house to the wedding. Boxes upon boxes with boxes stashed inside them and another box on the side consumed every single free space in my house. If you’ve got a man cave, it will be reduced to a storage area. Even my bedside table wasn’t safe. Luckily Sarah was as frustrated by this as me, so almost as soon as the wedding was over; she started listing things on Gumtree. We sold pretty much everything apart from the dress and the paper bouquet which was actually quite a big help as we got back about £500 of the money we spent on the wedding. As families grow, the cars get bigger. Use these big cars to your advantage. You’ll be very grateful that you asked your friend with the Zafira to help you deliver everything to the venue over the friend with a VW Polo. 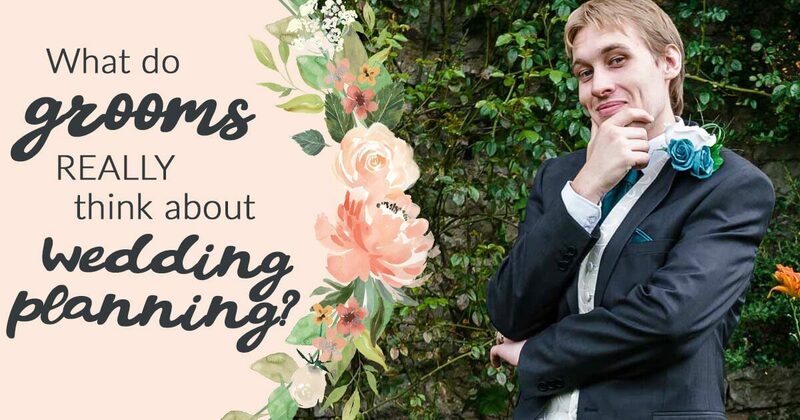 We ended up taking three completely jam-packed cars to the venue the day before the wedding – a Zafira, BMW and of course our trusty Nissan Micra. Everything *just about* fit in to the cars which was perfect, but what we hadn’t counted on was all of the lovely gifts that we would receive during the wedding. With those, plus the fact that things didn’t get packaged up quite as neatly as it did when before the wedding, we ended up having to make two trips to pick everything up the next day. That’s wasn’t a problem (although inconvenient as it was over an hour’s drive) as we weren’t going on honeymoon for a few weeks, but if you’re jetting off somewhere exciting on your wedding night then you might want to forewarn whoever is collecting your decorations and other bits-and-pieces that there may be more to come home than they initially took with them. It’s not quite true to say that I didn’t have a say in our wedding. I did have a say in things. It is just that my thoughts pretty much always happened to be exactly what my partner was saying anyway – we had the same vision for what we wanted. If that’s the case for you too, that’s brilliant because it means no arguments and a nice smooth journey to the finish line! However, if there IS something that you don’t want, don’t be afraid to speak out. For weeks Sarah was determined we would have an “Avengers” themed wedding. I managed put a stop to that. Eventually. Men, we make a lot of plans in the pub. When it comes to your wedding and more importantly your stag do, don’t plan it in the pub. Beer is not your friend and it will make you come up with outrageous suggestions. Think again before spending a wild weekend in Prague. You might come back married to someone else! What did I REALLY learn from planning our wedding? You might think from the points above that I didn’t enjoy planning the wedding. That’s not true – I enjoyed *some* parts of it. And I definitely enjoyed the day itself. All those hours of planning resulted in the perfect wedding day. Seeing the day-long smile on Sarah’s face and hearing the praise from our guests on the lovely venue and decorations made it all worthwhile. 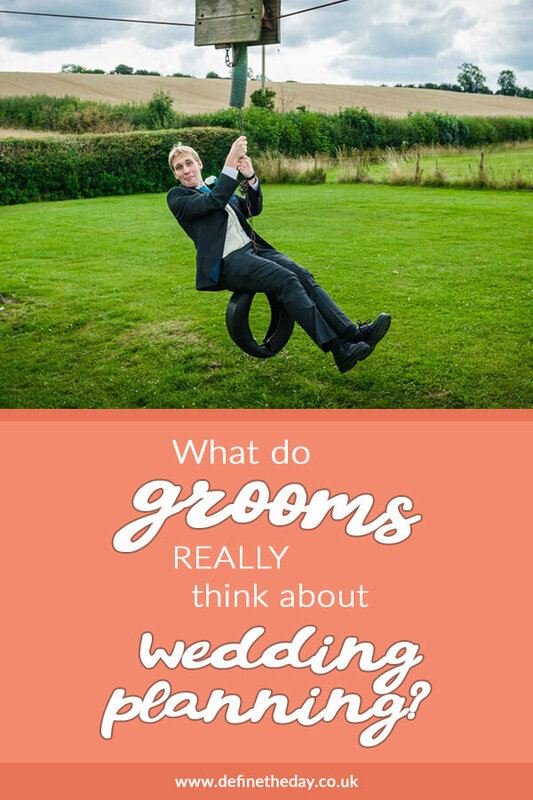 So future grooms, to sum up my collection of “wedding truths”, it’s fair to say that my perspective on getting married was that I felt a bit like a passenger. If that’s not how you want to be, that’s fine. You can be as proactive as you like. For me though, I was happy to sit back and be told exactly what to do. Life’s just easier that way! What should you feed your wedding guests?